The U.S. Supreme Court made it clear on Monday that the country’s Constitution does not guarantee a prisoner sentenced to capital punishment “a painless death,” paving the way for the execution of a convicted murderer who sought to die by lethal gas rather than lethal injection because of a rare medical condition. 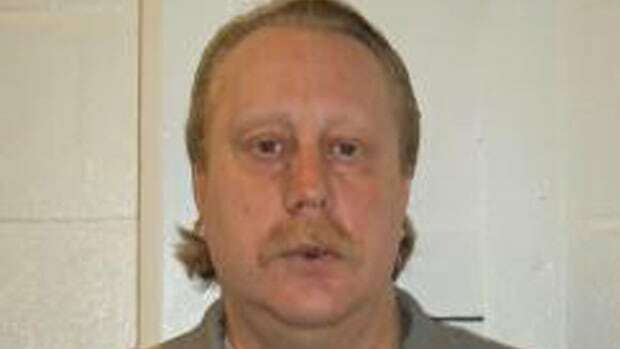 Russell Bucklew, 50, had argued that lethal injection might inflict undue agony by rupturing blood-filled tumours on his body caused by a congenital condition called cavernous hemangioma in violation of the constitution’s Eighth Amendment, which bars cruel and unusual punishment. In a decision written by conservative Justice Neil Gorsuch, the court ruled 5-4 that Bucklew had failed to present enough evidence for them to let him ask a lower court to allow him to be executed by lethal gas. The court’s five conservatives were in the majority and its four liberals dissented. Monday’s ruling was in line with a decision from 2015 in which the court rejected a challenge to Oklahoma’s method of execution by lethal injection on a 5-4 vote. In that case, the court held that inmates challenging a method of execution had to come up with an alternative option that was less painful. There was no evidence that Bucklew’s chosen alternative — lethal gas — would be any less painful, said Gorsuch, who was appointed to the court by President Donald Trump in 2017. Gorsuch noted that Bucklew is awaiting execution for crimes committed more than two decades ago. “Yet since then, he has managed to secure delay through lawsuit after lawsuit,” Gorsuch wrote. The case did not challenge the constitutionality of the death penalty itself as a violation of the Eighth Amendment. The court has curbed the death penalty as applied to juveniles and mentally disabled people, but there are no signs that the conservative majority is inclined to find that capital punishment is unlawful. Bucklew’s appeal neither contested his guilt nor sought to avoid execution. Lawyers for the state have said that although lethal gas is authorized, it has never been used and there are no protocols for it. The high court in March 2018 blocked Bucklew’s execution on a 5-4 vote, with four of the court’s five conservative justices voting to deny the request. The conservative justice who voted with the court’s four liberals to grant the stay, Anthony Kennedy, has since retired and was replaced by President Donald Trump’s appointee Brett Kavanaugh. Bucklew was convicted of the 1996 murder in southeastern Missouri of Michael Sanders, who was living with Bucklew’s former girlfriend Stephanie Ray at the time. Bucklew fatally shot Sanders at his trailer home, kidnapped and raped Ray, shot at Sanders’s six-year-old son and wounded a police officer before being apprehended, according to court papers. The Supreme Court last week blocked the execution of a Texas inmate whose request that his Buddhist spiritual adviser be present at the execution had been denied by the state. That came just weeks after the court rejected on a 5-4 vote a similar request from a Muslim inmate in Alabama, saying he had waited too long to file his lawsuit. There were 25 executions carried out in the U.S. last year, more than half in Texas. Seven other states carried out at least one execution. After capital punishment was re-instated in the U.S. in 1976, the most executions carried out in a single year occurred in 1999, a total of 98 inmates. The total has been fewer than 40 in every year since 2013, due to changing attitudes about capital punishment fuelled in part by a number of high-profile exonerations, as well as a number drug companies balking at having their products used for lethal injections.